If you’re just starting up in business, it’s likely you’ll be opening in a relatively small space whilst you’re keeping an eye on early budgets. And if you’re running a business in one of the UK’s big cities, you’ll definitely be eager to make use of premium space as best you can to keep your overheads as low as possible. If you’re dealing with a small workspace, you’ll likely be looking for tips on how to make the most of what you’ve got. So, here you go! 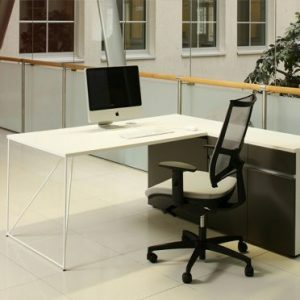 With limited floor space, you are going to need to set out your office desks in such a way that dead space is minimised or even totally removed. Avoid placing two straight desks in the corner of a room to form an L-shape. It will cause chairs to clash, plus you’ll end up with wasted dead space in the corner. 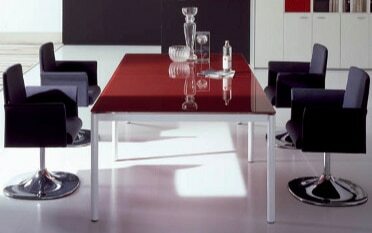 The alternative is to use single desks that are actually designed to fit into corners, i.e. 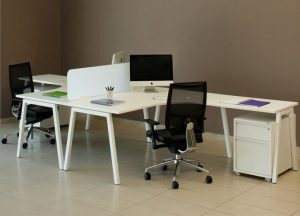 an L-shaped desk plus a straight desk facing into the corner. If possible, get your team working around a single bank of desks around the room’s perimeter. 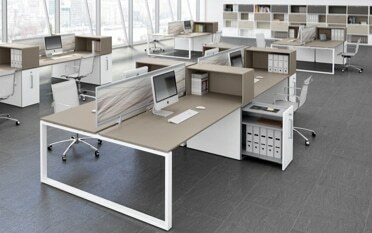 You can always fit privacy screens in between each desk if the nature of the work being carried out is confidential. 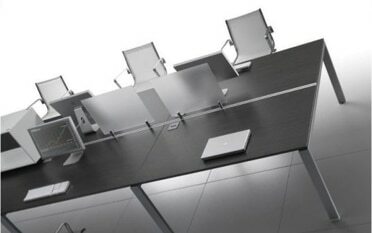 Another option is to place desks around the perimeter of the workspace facing outwards, with a central meeting table reserved for collaborative time. You can save space by making sure you select desks that are the minimum size necessary. For example, if some of your team work mostly from home but use your office on a hot-desk basis, they’ll only need sufficient space for a laptop and a bit of paperwork. Storage won’t be necessary. 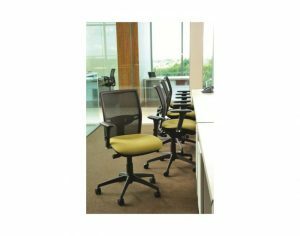 Whilst there is ample choice when it comes to office chairs, you are going to have to be selective because anything that is over-engineered or particularly large will quite simply take up too much space. 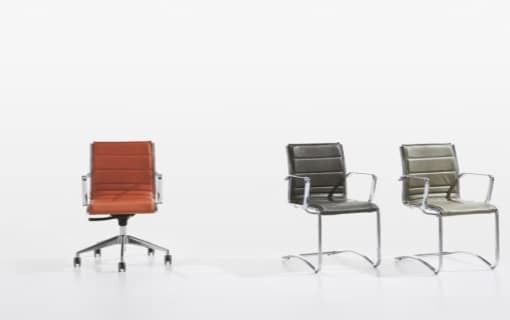 Go for minimalist chair designs and you’ll avoid clashes. It may even be better to use static chairs rather than chairs on castors; that way you can ensure movement, and therefore accidental coming-togethers, will be limited. Make sure your chairs serve the purpose of the user. 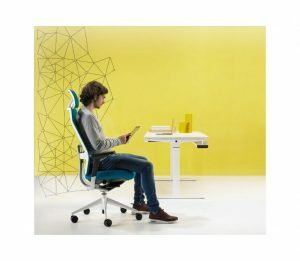 People who are at their desks most of the week will need a good quality, ergonomically designed chair, whereas for fleeting visitors, static or lower grade chairs will suffice. Is physical storage absolutely necessary? You may only need minimal storage, and you can certainly choose from a range of space-saving office storage solutions should you need them. Storage built into desks and wall mounted cabinet lockers are a good choice. Consider digital storage where you can. A paperless office not only saves space, it’s kinder to the environment too. 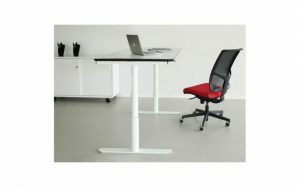 With less physical storage comes smaller desks and therefore more room to work. Opt for cloud storage and you won’t even need a server room: even more space saved! We always talk about the importance of natural light in any working environment, and it is never more important than in a compact space. Try and arrange your office space so that your team benefits from as much natural light as possible, but always consider how natural light can affect screen quality and glare. Light sources behind a desk are likely to cause annoyance, so bear this in mind with your desk layout strategy. It may be that you fit blinds to manage the glare at peak sunlight times until the outside shade starts to take over. Try and introduce task-based lighting so that everyone benefits individually from the right type of light depending on the task they are undertaking. Desk lamps are a great idea to shine a light on shaded areas and to bring detail to life where it’s called for. Maximise Your Office Space with the help of Tag Office! 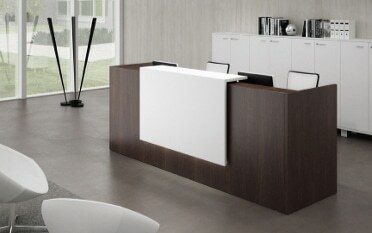 Tag Office is UK-wide supplier of high quality office furniture. 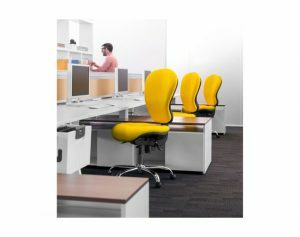 Our ranges include a number of options for the smaller office space, and we are always delighted to provide tailored advice on selecting the right furniture to suit your individual requirements. Why not give us a call today for the advice you need? We look forward to being of assistance! 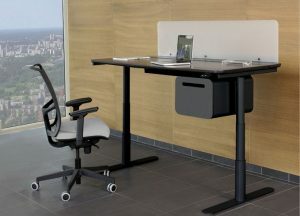 Posted in Office design ideas, Office Desks, Office Seating and tagged office design, small office design, small office design ideas on 19th July 2018 . All prices shown exclude VAT. All major credit cards accepted. Tag Office is registered in England. Company registration: 7448253 VAT Number: 204 8914.